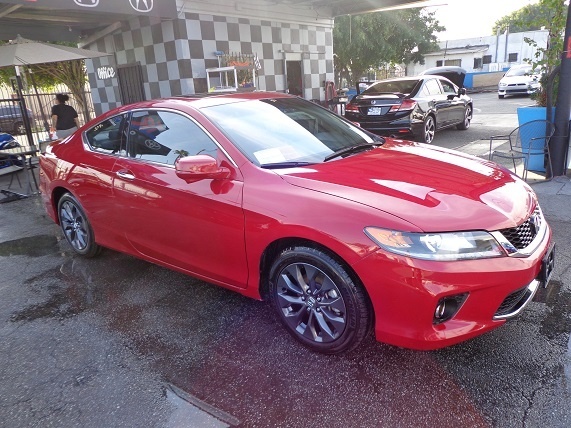 Refreshingly uncomplicated, handsome, powerful enough for America’s most deserted highways and engagingly nimble, the midsize 2015 Honda Accord Coupe does everything its sedan sibling does, only with a bit more élan. Returning to boast 5-passenger capacity and room for 15.8 cubic feet of luggage, groceries or knick-knacks in the trunk, the upcoming year’s Accord Coupe lineup also stands pat with the base LX-S, the next-up EX and the tolerably posh EX-L. This latter trim, by the way, can also be divided into EX-L V6 and EX-L V6 with Navigation sub-trims. 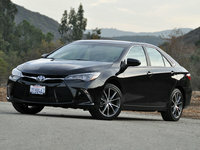 After a comprehensive reworking for the 2014 model year, the 2015 version offers no significant changes save a minor shuffling of standard features among trims. Expect, therefore, the return of the roomy quasi-plush interior, the adept handling characteristics and the choice of two engines. Oh, and look once again for the Accord Coupe to boast a more dynamic profile than its 4-door stablemate with a sleeker rear end and an edgier look to the side sheet-metal. Powering the base LX-S, the midlevel EX and the high-end EX-L is a standard 2.4-liter inline 4-cylinder (I4) engine that again comes under the management of the traditional 6-speed manual transmission that’s standard in the LX-S and ES trims. Meantime, a continuously variable transmission (CVT) remains delivered with the I4-toting EX-L and its EX-L with Navigation kinsman, while lower trims remain eligible to get the CVT as optional equipment. With either transmission, expect 185 hp and 181 lb-ft of torque to the tune of 24 mpg city/34 highway in stick-shift trims and 26/35 in CVT-toting editions. Pop the hood on an EX-L V6 and you’ll find a 3.5-liter V6 powerplant underneath, along with a standard 6-speed shiftable automatic transmission. Should the automatic not feed your need for an engaging commute, the above-mentioned 6-speed manual transmission again remains optional in each V6 trim, with both gearboxes bossing 278 hp and 252 lb-ft of torque. Mileage estimates, meantime, remain 21/32 with the automatic transmission and 18/28 with the stick shift. Appearance goodies are once again expected to include, depending on trim selection, 17- or 18-inch alloy wheels and heated power-adjustable mirrors, with cabin adornments on all trims to again include standard cloth or leather upholstery, full power accessories, cruise control and telescoping tilt-wheel steering. Curiously, the 2015 Accord Coupe still offers a fold-down rear seatback, but it’s not of the split-folding variety favored by most rivals. Anyhow, a rear-view camera again comes standard in all 2015 Accord Coupe iterations, as does Bluetooth hands-free calling and audio streaming, with the LX-S and EX both sporting a single-CD player, 6 speakers, a USB port and controls for Pandora internet radio. Further, the EX and higher trims additionally feature a standard power moonroof, power-adjustable driver’s seat and blind-spot warnings. Moreover, the EX-L adds memory for driver’s settings, an upgraded rear-view camera, premium 7-speaker sound system with satellite radio and HondaLink (with Aha) Smartphone apps. Obviously, the EX-L with Navigation throws GPS navigation with voice-recognition technology into the standard EX-L configuration of cabin confections. 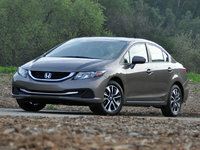 As is traditional, Honda offers only dealer-installed accessories in lieu of confounding options combinations, with said accessories encompassing, among more mundane offerings, a rear spoiler, underbody spoilers, upgraded 17-inch wheels and splash guards. Of course, the standard safety equipment aboard the 2015 Accord Coupe lineup mirrors the preceding year’s editions, with 4-wheel antilock brakes (ABS), traction and stability control, front side-mounted airbags, and front and rear head airbags all standard. Daytime running lights and a remote antitheft alarm, by the way, also return as standard safety stuff on this midsize 2-door for the upcoming year. 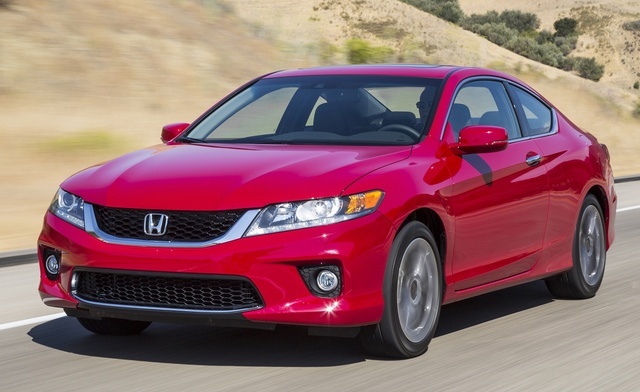 What's your take on the 2015 Honda Accord Coupe? ballbeater I love not only the looks one gets while driving but the handling and great gas mileage I have over 30mph since day one.. As they use to say " Honda sells itself " . 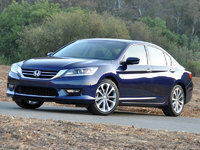 Users ranked 2015 Honda Accord Coupe against other cars which they drove/owned. Each ranking was based on 9 categories. Here is the summary of top rankings. Have you driven a 2015 Honda Accord Coupe?